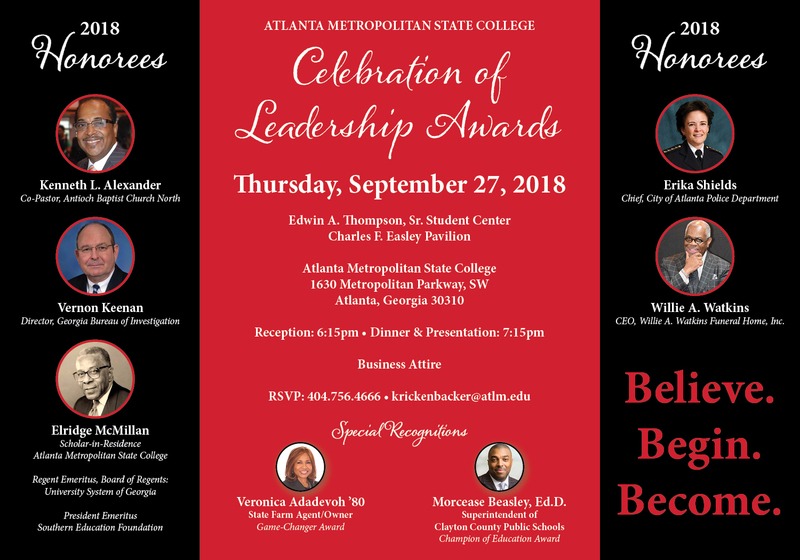 Atlanta Metropolitan State College has the responsibility of informing the general public of changes in its mission, as well as aligning the College’s programs and services with its stated mission. Otherwise, the public’s recognition and perception are dated and inaccurate. The growth and sustainability of the College will rely on the engagement of the public in utilizing, embracing, and supporting its current mission. A well informed public of the College’s mission and purpose, “Branding,” is the first step in educating and inviting the public to wholly embrace Atlanta Metropolitan State College. Within the College's broader recruiting strategy, target an economically disadvantaged and more diverse student population. Strengthen the College's Foundation capacity to award academic scholarships, as well as establish need-based financial aid assistance. Review and modify strategies, as necessary, to ensure that the College recruits and retains a well-qualified administration, faculty, and staff who will ensure high quality student educational programs and services. Provide professional development and/or incentives for faculty and staff that encourage and reward activities that enhance institutional and teaching effectiveness. Maintain low and affordable tuition rates and fees. Develop innovative programs and services that address the needs of promising but underprepared students, and challenge gifted students.